Sacramento Basin-focused natural gas developer and producer, Sacgasco Limited (ASX: SGC), this morning announced that drilling at the Dempsey 1-15 Natural Gas Well in California’s Sacramento Basin had intersected its most significant gas shows to date. Sacgasco advised that the Dempsey 1-15 well is drilling ahead in 8 1/2” vertical hole and drilled through hard siltstone/shale section into a primary gas bearing sand. After penetrating a thick section of hard shales and siltstones, drilling intersected the potential sandstone reservoir with high gas shows. These have occurred even though the drilling mud weight has been increased to control the levels of background gas for safe drilling. The Dempsey 1-15 well is currently drilling ahead below 2,760 metres to the highly under-explored deeper conventional sandstone reservoir targets in the approximately 440 metres of remaining section to be drilled. Dempsey is drilling the largest undrilled mapped structural closure in the north-eastern part of the prolific Sacramento Gas Basin. It is interpreted to be optimally located to trap gas migrating out of gas generating areas to its west and south. Drilling at the Dempsey 1-15 well commenced on August 2 and the well has already returned some significant gas shows, even before today’s announcement. Management confirmed that further interpreted prospective reservoir zones remain to be drilled and that updates of any meaningful results from the evaluation of the target sandstone reservoirs will be provided. SGC has rewarded shareholders with an impressive 221% share price rise over the past twelve months as it continues to make progress at Dempsey and at its other Sacramento Basin gas prospect, Alvares. Historical data in terms of earnings performance and/or share trading patterns shouldn’t be used as the basis for an investment as they may or may not be replicated. Those considering this stock should seek independent financial advice. News of the gas discovery this morning follows an announcement from the company yesterday detailing a A$2.4 million capital raising. SGC announced that it has placed 28,744,080 ordinary shares at 8.5 cents per share to raise A$2,443,247 before costs, under the Company’s existing share placement capacity. SGC has placed 28,744,080 ordinary shares at 8.5 cents per share to raise A$2,443,247 before costs, under its existing share placement capacity. The capital raising was strongly supported by existing and new shareholders in London and in Australia. Who are attracted by the potential for the company’s Scramento Basin assets. 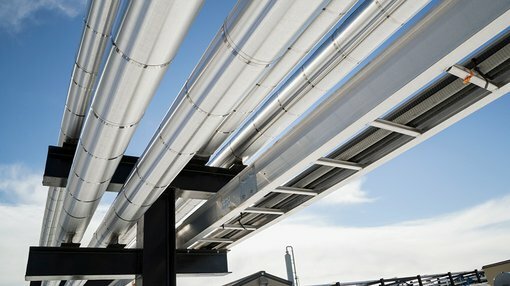 The funds will be used to finish the Dempsey well including drilling, completion for testing and production hook-up, as well as hooking up existing wells for more production, permitting the Alvares Prospect well re-entry, ongoing and new oil and gas lease rentals, plus general working capital requirements.